Hi Everyone - it's another great Thrifty Thursday Deal over at Scrapper's Delights. 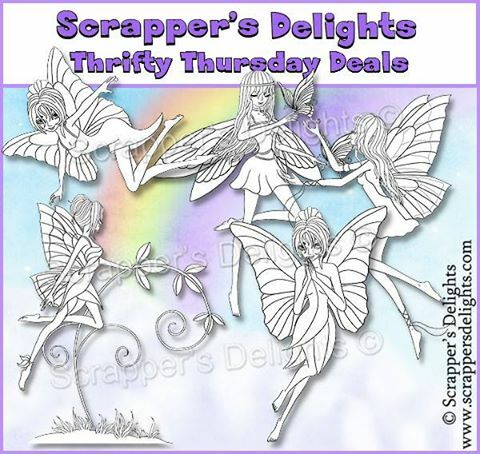 Thrifty Thursday is our Bi-weekly deal when Scrapper's Delights chooses as selection of fabulous special offers for you!. Just go to the special offer page HERE, where you can pick up these amazing images for just $1 each! These super cute fairies are a must for your collection. 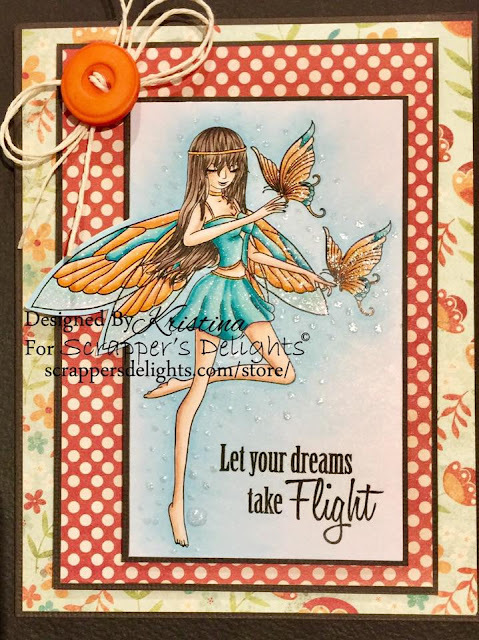 For my card I have used the butterfly fairy image and coloured with Copic markers. I have added sparkle with a ZIG Wink of Stellar pen. She is teamed up with a sentiment from Papertrey Ink and paper from My Mind's Eye.